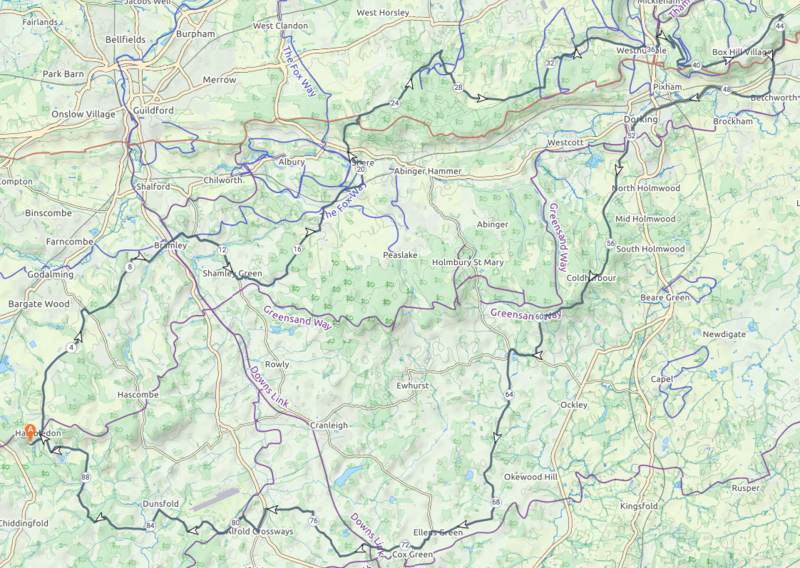 Cycle Routes and Cycle Tours in Surrey, South Downs, Surrey Hills, West Sussex, Guildford, Haslemere, Farnham, Godalming, Chiddingfold and Petworth. | Electric mountain bikes, road bikes, hybrids and mountain bikes for hire. Tackling some of the iconic Surrey Hills climbs. 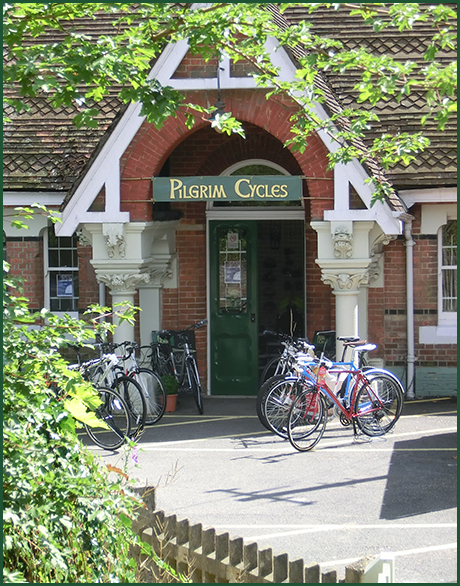 This route starts by heading over to Bramley, then across Ranmore Common to Box Hill, but you should stop on the way through Westhumble at the wonderful Pilgrim Cycles Cafe (located at Westhumble and Box Hill railway station). After Box Hill the route goes up Coldharbour Lane before climbing Leith Hill and then returning to Hambledon via Dunsfold. At nearly 100km in length and with 1400m of climbing you’ll need to be fit and on a road bike to take on this route. You can explore this route and download its GPX file from the Routes Page of this website.